I'll be the first to admit that the masculinity on display in most of Marvel's Ant-Man isn't exactly exemplary. As presented by Hank Pym and Scott Lang, masculinity seems to be all about imposing your will on the people around you. Hank and Scott might be great superheroes, but they're pretty crappy husbands and fathers, for all that the story seems insistent on putting them on a pedestal and granting them amnesty by way of Hope's forgiveness. 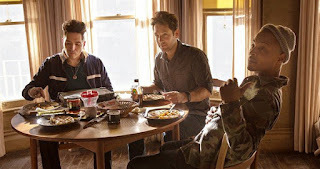 On the surface, the masculinity of Ant-Man is pretty freaking bad. So it should come as some surprise, then, that there's another masculinity lurking underneath, one that is healthy and supportive and good, if not entirely endorsed by the narrative. 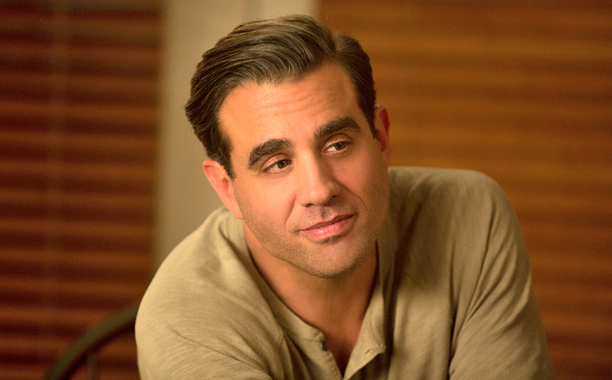 I'm talking about the masculinity of the minor characters in Ant-Man. 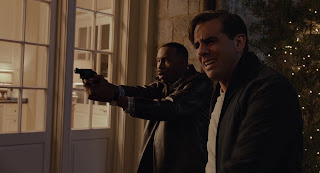 Particularly of Paxton (Bobby Cannavale), the man Scott's ex-wife wants to marry, but also of Scott's former cellmate and his partners in crime, Luis (Michael Pena), Kurt (David Dastmalchian), and Dave (T.I.). They might not be main characters, and they might even be slightly maligned by the other characters, but the masculinities that these characters present are, by and large, really healthy. And that's, well, interesting. It's interesting to see a story where the main male characters are exemplars of white privilege and little else but the supporting ones are pushing back against gender norms. And it's also interesting to think about why these are the characters on the sidelines, why the "other guys" are so often healthier and more compelling than the leads. Why we're supposed to hate Scott Summers and love Wolverine even though Scott Summers is the one who stuck around to build a life with Jean Grey. Why we're told that guy in the committed relationship standing at the altar isn't as important or manly as the weirdo on rollerskates busting in to "steal" the bride. Today I want to talk about the other guys. 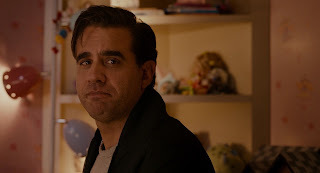 We'll start with Paxton, a character who gets very little love in Ant-Man but absolutely deserves our respect. So let's set the scene here: imagine that, in the course of your day as a police officer working in the San Francisco Bay Area, you meet this awesome woman. She's funny and smart and has a whipcrack retort to any joke you can think of. You're totally into her. And then you find out that she's recently divorced and has a toddler at home. Not only that, but her ex-husband is currently in a federal prison because he broke into a multi-national corporation in a misguided Robin Hood attempt. What do you do? You're a cop, so it's not really your wheelhouse to date the ex-wife of a convict. Also you don't have any children of your own and dating a woman with a little kid is a big commitment. Sure you like this woman, but is she really worth it? If you're Officer Paxton, then your answer is yes. Absolutely she is. Not only that, but if you're Paxton then you don't just date this woman, you become involved in her life. You love her daughter and you treat her like your own. You parent, with late nights and nightmares and potty breaks and birthday parties. You work at this. You build a life with the woman you love and you ask her to marry you. You love that little girl and you try to raise her right. Then let's imagine that the ex-husband is getting out of jail. You're not worried that your fiancee now is going to go back to him - that ship sailed a long time ago - but you worry about that little girl. How is this man going to fit himself back into your lives? Is he going to try to take her away, take away the child you think of as your own daughter? Is he even going to be safe to be around? Again, if you're Paxton, you don't deal with this by beating up Scott Lang. You don't yell and scream at him, you don't make a scene, you don't badmouth him to his daughter. You don't invite him to her birthday party, sure, but you don't make a fuss when he does show up. Instead you support your fiancee when she sets good and reasonable boundaries. You worry, but you keep it inside. When your worst fears come true and it seems this guy still hasn't turned from his life of crime, you don't gloat, you don't threaten, you're just disappointed. You really did want Cassie to get to know her father. Okay, now that scumbag somehow escapes from prison and straight up disappears for weeks. You're terrified the entire time. What if he's coming for Cassie? What if he's going to kidnap her? What if he's a danger to Maggie and you? And still you don't badmouth him to Cassie. You don't tell her that her daddy is a crook and that she should hate him. You try very hard, in fact, not to turn her against her father. You want to believe the best even as you prepare for the worst. And when the worst finally comes, you're able to step back and let this loser, who is apparently some kind of superhero, save the day. You're even willing to bend a few rules and let him get away afterwards. Paxton is an awesome guy. Seriously, he is the kind of man we should be holding up and saying, "This! This is what a respectable, decent, honorable adult looks like!" And yet the movie wants us to hate him. Or maybe hate him is too strong. But it certainly wants us to enjoy his misery. We're supposed to cheer when Cassie glowers at him and hopes he doesn't find her probation-skipping felon of a father. We laugh when he's pulled away from investigating an actual crime that is definitely taking place because the heroes are joyriding in his car. We roll our eyes at how ignorant he is to the larger problems at stake as he is baffled by the tank bursting out the side of a building. We aren't supposed to like Paxton because we're supposed to like Scott instead. But when you hold these characters up side-by-side, it's no contest whatsoever on who is the better human being. When Scott goes to Cassie's birthday party and Maggie lays down the law, he doesn't exactly react in the most responsible way. Instead of understanding where she's coming from - that he has never been a father to Cassie and before he can be a part of her life he has to prove he's stable and safe - he decides that he should pull a quick heist and that will solve all his problems. Paxton, meanwhile, is working his job every day, coming home every night. 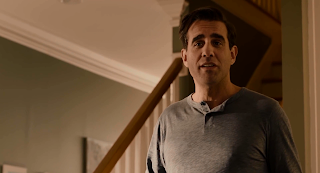 We don't know a huge amount about him, but we can infer from his relationships with Maggie and Cassie that he's a good fiance and father figure. He's responsible. He's there. And yet, like I said above, we're not supposed to like Paxton. Why? Because Scott is fun. Paxton's not fun, he's all boring and an adult all the time. Scott is fun. He's witty and quippy and he gets into hilarious scrapes. You can bet that Hank Pym never thought about recruiting Paxton to be his expendable fall-guy. Scott is charming and clever and looks good with his shirt off. What else could we possibly want in a male lead? By contrast, Paxton is kind of lame. He's not particularly funny, he's not quick, he's dependable and solid, which is great in the real world but might as well be a capital offense in the world of movies and television. In other words, Scott is what we're supposed to think healthy, cool masculinity looks like. Paxton is what it actually does look like. Plus, like I said above, it's not just Paxton. Scott's three criminal friends might be, well, criminals, but they're also interesting cases of non-normative masculinity. Sure it's only bits and pieces, but it's definitely there. Luis, for example, is the kind of guy who brags about stealing two smoothie machines and goes to contemporary art exhibits and wine tastings with his cousins. Kurt and Dave are silly goobers who talk about Titanic and giggle at each other and never even imply that they would use violence on someone. The three of them might be very minor characters, but they're just developed enough to suggest a rich inner life where posturing masculinity has no place. They're all very comfortable in themselves, and that's worth celebrating. But really I want to talk about Paxton and Scott here, and why we're supposed to love Scott and tolerate Paxton. Why Scott is the hero and Paxton is the guy who gets in the hero's way. 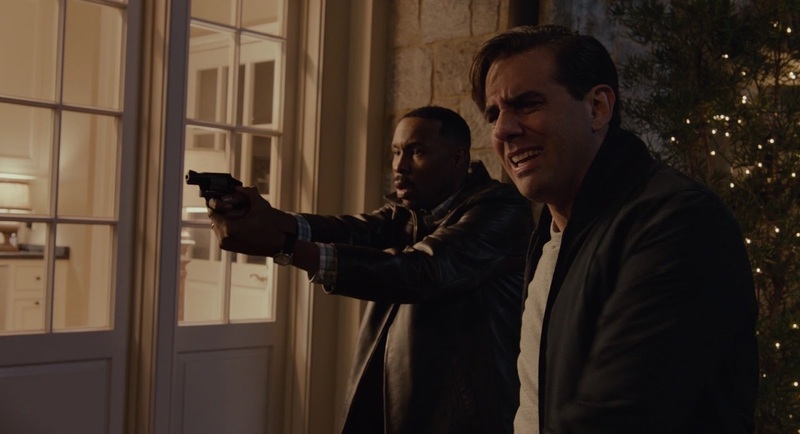 Scott might have a character arc where he "becomes the hero that Cassie always thought he was", but Paxton already was that hero, and it's a damn shame that we're not supposed to acknowledge that. I guess what it comes out to is a fundamental insecurity on the part of the filmmakers and Scott himself - the idea that Scott Lang can't be a hero and can't be our favorite without us tearing down the only real male competition he has in the film. If the movie admits that Paxton is a great guy with a really good point, then Scott doesn't look so good, and I guess they're not confident that we'll still want to watch Scott become a superhero. Maybe? I think that's it? All I know is that I am quite frankly sick of the Scott Langs of the world. I'm over the overgrown manchild who doesn't understand the gravity of his situation. I'm over Paul Rudd, who is probably a fantastic actor but has been playing the manchild for so long I'm not sure I believe he can be anything else. I'm over the idea that stable and secure and responsible is boring and should be mocked. I'm just plain over it. I want a guy like Paxton. That's appealing to me. Sure I want a guy who can make me laugh, but it's a lot more important to me that I find someone who will be a partner to me. Who will sit down while we write out a budget and who will clean the kitchen with me and who will stop at the grocery store to buy more aspirin. I'm not looking for a Scott Lang who is always coming up with crazy schemes. I want boring, because boring means, more often than not, a level of intimacy and commitment that we never see the Scott Langs of the world approach. 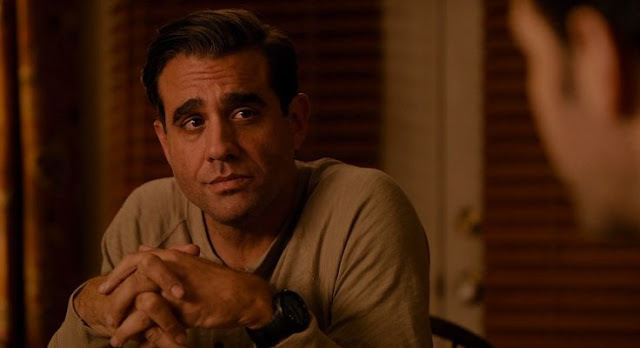 Ant-Man is a fun movie, in large part because of Scott's antics. But I think there was room for a better movie here too, one where Scott admits his flaws and the movie doesn't feel the need to drag Paxton down to lift Scott up. 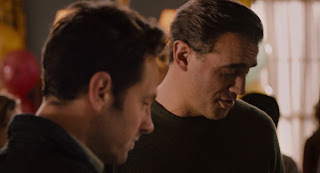 Still, even as it is, Ant-Man does give us a picture of what it means to be a committed and loving father and husband. It's just definitely not the main character. Thank you for this recommendation! I will definitely watch this film and I believe that it's better to watch movies that will teach you something. In the rating of Iwriteessays this movie is on the tp positions and I'm glad that you also like it.